Over the past several decades genre has come to have particular prominence in the field of educational linguistics where it has a key place in the analysis and description of disciplinary differences, of classroom discourses, tasks and modes of teaching and learning, as an organising principle for curricula, program design, and assessment, and as a basis for the design of pedagogies. It is a popular term. Yet as Yunick (1997, p. 321) argues "with this popularization comes the need for continued research, critical and ethical evaluation, and continued dialogue with theory." In taking up an aspect of the challenge proposed by Yunick, I explore the question of what genre means in systemic functional linguistic (SFL) theory or more generally in systemic functional semiotic (SFS) theory. An understanding of the theoretical basis is important in appreciating where and why differences arise in methods of analysis across theories. I point out some shared ground with other theories but also features that distinguish an SFL approach to genre studies , especially with respect to the identification and analysis of genres, the relationship of genre to language, and the issue of context in analyses of genre. Finally I turn to the question of whether it matters that the term genre means something different when used in the context of one theory or another. Perhaps not surprisingly the answer to this question will also vary from theory to theory, as each has different grounds of legitimacy. Here I focus on what, for SFL, is the key issue of explanatory power. In the field of academic literacy, I explore what can be gained from the close attention that SFL pays to meanings realised in the language of texts, and what those meanings reveal to us about the genres they enact. Martin (forthcoming) explains that "[h]istorically the main antecedent for SFL work on genre is Firth’s theory of context, influenced by Malinowski (Firth 1957/1968), and its exemplification by Mitchell in his article on buying and selling encounters in a Libyan marketplace." Early work in genre at the University of Sydney in the late 70s and early 80s focused on spoken genres, including service encounters (Ventola, 1987) and spoken story telling (Plum, 1988). In the more than three decades since, the theoretical construct has been applied in studies across diverse discourses (e.g., legal, media, academic, professional, literary, pedagogic, domestic), in English and many other languages, in spoken, written and multimodal interactions incorporating body language, image, music, and spatial design. Studies explore texts as small as tweets and as sizeable as textbooks, museum exhibitions and youth justice conferences (e.g., Christie & Martin, 1997; Martin & Rose, 2008, Bednarek & Martin, 2010; Dreyfus, Hood & Stenglin, 2010). One important and continuing field of application has been education, from primary and secondary schooling through adult and tertiary contexts (e.g., Christie & Martin, 1997; Unsworth, 2000; Feez, 2000; Martin, 2009, 2013; Martin & Rose, 2008; Rose & Martin, 2012). Since Hyon's 1996 article referring to "three traditions" of genre within the broad field of discourse studies (New Rhetoric, English for Specific Purposes, and SFL - Sydney School), the question of how genre studies differ has been revisited periodically by writers from different "traditions" (some recent contributions include, for example, Christie, 2008; Bawarshi & Reiff, 2010, Tardy, 2011; Flowerdew, 2012; Martin, forthcoming). The scope of genre research in SFL indicates considerable common ground with these genre theories in terms of objects of study in the social world. Certainly with respect to ESP and with New Rhetoric genre research, there are shared interests in academic and professional fields of interaction, shared concerns with the notion of context, and with New Rhetoric a recognition of the importance of attending to meanings in modes other than language. So what distinguishes the construct of genre and approaches to analysis in SFL? Turning to definitions is not necessarily immediately helpful. In SFL genres are defined as "recurrent configurations of meanings (...) that (…) enact the social practices of a given culture" (Martin & Rose, 2008, p.6). At a surface level this might not seem profoundly different from ways in which genre has been defined in ESP genre studies, so we need to explore more of the theory within which the construct of genre sits in SFL. After all, as a theoretical construct genre means what it does in relation to other constructs in the theory; it does not stand alone. Figure 1 represents genre as an aspect of a comprehensive social semiotic theory of language and context. The figure models language as consisting of three strata: as an expression plane of sound and/or visual symbols (phonology, graphology), as clause level systems of lexicogrammar, and as text level systems of discourse semantics. These strata are represented in the three inner co-tangential circles in Figure 1. Meaning is made at each stratum, and meaning is metafunctional (ideational, interpersonal and textual). 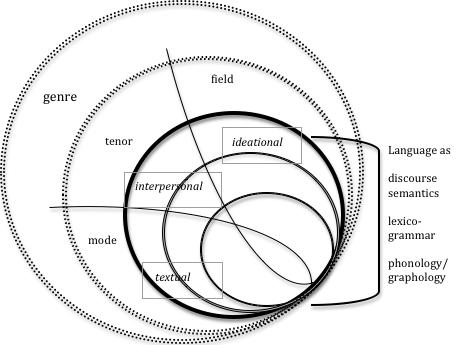 Figure 1 also represents context itself as stratified (the two outer circles), firstly as register (context abstracted as variables of field, tenor, and mode) and then at a higher level of abstraction sits genre. In SFL, then, genre represents systems of social processes that constitute a culture. From such a perspective, systems of genres are realised in configurations of register variables that are realised in patterns of choices in language (and other semiotic systems). Genre as abstracted context is realised in texts. But the relationship of language to context is a bi-directional one, as the patterning of language choices in texts also functions to construe different registers and genres. In other words, as in Martin’s definition, "configurations of meanings … enact the social processes." There are a number of very significant implications that flow from theorising genre in this way. First genre does not have to do all the work of explaining how texts are shaped by / shape context. A stratified model of context as register and genre provides for greater explanatory power in exploring the functions of texts. For example, texts do not only represent genres of different kinds, they also realise modes of interaction. Here lies an explanation for some of the different ways in which texts are labelled as genres in different theories. In both ESP and new rhetoric genre studies, genres are sometimes referred to in ways that do not differentiate between the ways texts are shaped on account of mode and the way meanings configure as genres. So we may encounter, for example, texts described as genres of essay, email, blog or interview. In SFL terms, however, these are modes of interaction that can realise many different genres. They may "enact" expository discourses, descriptive accounts, explanation, or stories of many kinds. The texts realise modes of interaction and they realise genres; these two dimensions of context can be differentiated in analyses of the discourse. Additionally, SFL analyses reveal that longer texts, for example novels, textbooks, lectures or research articles, are most often composed of a series of genres forming what is referred to as a genre complex or macro-genre. From this perspective, subsuming these different components into a single notion of genre can leave important diachronic shifts unexplored and unable to be explicated. Secondly, when we talk about genres in SFL we are talking about a linguistically theorised concept that may or may not align with everyday ways of talking about or describing texts, and in fact is likely not to. If we ask people to describe or to hypothesise about the kinds of text they speak or write, naming them or talking about their purpose, the responses will necessarily be limited by all sorts of factors including what they feel like telling us at the time, and what kinds of resources they have available to reflect on their own discourse and to talk about language in response to such questions. The identification or description of genres arrived at by such means will necessarily be a loosely bounded construct that cannot be applied as a consistent empirical correlate in analyses of discourse. It may have validity to the extent that we want to explore kinds of consciousness and tools for articulation that particular language users may have about their language use. However, a significant proviso here is that our questions and observations themselves generate more discourse that cannot be simply interpreted as transparent meaning making. While our own intuitive readings of texts or reference to the participants in a field of practice may get us started, in a study of language as a social semiotic they are not legitimate bases for the identification or differentiation of genres. The identification of genres in SFL is an un-commonsense process of analysis, a process that is premised on an understanding that in a theory of meaning, meaning itself is an un-commonsense notion. Theorising language as a social semiotic system rejects any kind of form-function dichotomy. Instead meanings are represented in system networks of choices and exist in the relations between those choices. In other words meanings are made in what was said/written in relation to what could have been said/written but was not. Such a perspective precludes any assumption that we can simply bring to consciousness the complex ways in which we mean in texts, or that texts mean to us. As a social semiotic theory (a theory of meaning making) the project in SFL is to explain the meaning potential of texts, including their potential to enact the genres of a culture. I conclude this discussion of the uncommonsense meanings of theoretical constructs with a short note on context itself. If context is to be interpreted as throwing light on meaning in discourse, then context itself constitutes semiotic interaction; that is, the context of discourse is more (multimodal) discourse, and exploration of the world "beyond the text" means the exploration of more text, whether this involves observing activities, reading additional documents, or interviewing participants in a field of practice. In SFL context is theorised as an abstracted realm of meaning realised in and by language and other semiotic modalities (Figure 1). When we explore beyond a text we are exploring more meaning making in terms of field, tenor, mode, and genre. A third distinguishing feature of SFL studies of genre is the potential it offers to build system networks of genres, systems that identify the ways in which genres are the same and the ways they differ from one another. The idea of a system network of genres is illustrated in Figure 2, a partial system network of story genres from Martin and Rose (2008). Story genres collectively are genres that "reconstruct real or imagined events and evaluate them in terms which enact bonds of solidarity among participating interlocutors" (Martin & Rose 2008 p.97). However, the ways in which events are told and evaluated differentiates one kind of story from another, in the process shifting the basis for solidarity. The choices in the system represent systematic variations in the configurations of meanings, both ideationally and interpersonally. Reading Figure 2 from left to right a first distinction is made between stories in which events unfold as expectant and without disruption constituting the genre of recount, or as counter-expectant or disruptive of the mundane. In the latter case a story may offer a resolution to the disruption constituting a narrative. Alternatively the disruption may remain unresolved in which case the story can be concluded with some kind of evaluative response to the told events. The nature of the evaluative response may be as a reaction realising an anecdote, as a judgemental interpretation realising an exemplum, or as a comment realising an observation genre. Anecdotes, exemplums and observations are therefore "differentiated according to the 'point' of the story: the 'point' of an anecdote is to share a reaction; the 'point' of an exemplum is to share a moral judgement; the 'point' of an observation is to share a personal response to things or events" (Jordens, 2002, p.68). The evolution of systems of genres as represented in networks is open to the ongoing exploration of cultures and to the evolution of genres in cultures. They are open to the dynamic nature of language and culture, premised in the theory in the bidirectional relationships of realisation across the strata indentified in Figure 1 (e.g., Martin & Rose 2008). On the basis of these explanations of what genre means in SFL we can turn attention to the analysis of genres enacted in discourse. The process begins with close analytical attention to patterns of meaning in texts including patterns of ideational, interpersonal and textual meaning. Genres are enacted in unfolding stages of meanings and it is these stages that distinguish one genre from another. For this reason the analyst pays close attention to the ways in which the unfolding text signals its shifts in meaning. For detailed explanations and illustrations of this process in the analysis and discussion of diverse kinds of texts readers are referred to Martin & Rose 2008 Genre relations: Mapping culture. Here I provide a brief illustration of an analysis of genre in just one example text, from the beginning of the introduction to a research article from the sciences. Significant in the differentiation of the genres within the complex above are the underlined thematic elements that give textual prominence to major shifts in field. Additionally, there are distinctions in the generic versus specific status of the fields, and these distinguish report from description genres. While there is minimal attitude expressed in the discourse, there are also shifts in polarity from a positive representation to the object of study (efficiency) to a negative representation of other research (disadvantages) and then back to positive appreciation of the writer’s contribution (promising, easily). (See Martin & White, 2005; Hood & Martin 2007; Hood, 2010 for an elaboration of analyses of evaluation). Each sub-genre constructs a factual yet evaluative (bolded) representation of aspects of the relevant field, together structuring a macro-genre of report + report + description. Genres of evaluative reports and descriptions are very commonly encountered in research warrants across many disciplines. They enable the academic writer to objectively represent the world while at the same time offering a critical and persuasive perspective. However, an appreciation of the macro-generic status of research warrant opens up the possibility for co-opting other genres into the task of legitimating one’s own study. Some are potential but largely unrealised options while others are more frequently encountered in particular intellectual fields. Given the inherent evaluative function of the discourse, the occurrence of argument genres might be anticipated, and we may at times refer to RA introductions as the place where the writer argues for the worthiness of their own study. However it is extremely atypical to encounter an introduction that opens with a thesis and proceeds through a series of justifying arguments to a reiteration of the thesis. Choosing to construct a research warrant as an argument genre or a series of arguments would in most fields be read as too overtly opinionated, foregrounding as the genre does the subjective position of the writer. Another variation on the generic composition of the research warrant is the story genre of observation. The appropriation of story genres in constructing a research warrant is not atypical in the humanities, but is less commonly encountered in the social sciences and would be a highly marked choice in the sciences. Where report genres in the sciences foreground generality and objectivity in critique, story genres privilege subjective instance as symbolic of shared values. (For a more detailed discussion of this genre in the context of research articles see Hood, 2010; Hood, forthcoming). These brief illustrations aim to indicate what is to be gained from SFL’s close attention to what the language of texts has to tell us about variations in the unfolding patterns of meanings that culturally configure the world. From this perspective, the analysis of language is not a post-hoc process of description but is key to the identification of genres and to the ways they are more or less related to one another. Context is both within and without the discourse, in more discourse. The exemplifying texts discussed above reference one pedagogic field, that of academic study in English, but SFL work on genre has been influential across all sectors of education, from early childhood onwards and outwards. In all these contexts there is an underlying concern for the theoretical and analytical work to interact with pedagogic practices in the interests of visibility and intervention - visibility in terms of the expectations for success in the genres that construct curriculum knowledge, and intervention to subvert pedagogic practices that continue to socially stratify educational outcomes and to redesign them in the interests of greater social equality in accessing educational knowledge. Martin, J. R. 2013 Writing and genre studies. C A Chapelle [Ed.] The Encyclopedia of Applied Linguistics. Oxford: Wiley-Blackwell.